People often think that misdemeanor convictions are low-stakes. That perception could not be further from the truth. In Wisconsin, both 2nd and 3rd offense OWIs are misdemeanor violations. A misdemeanor OWI conviction on your record has far ranging consequences that may follow you for the rest of your life. The Wisconsin Laboratory of Hygiene is falling further and further behind with testing blood samples for the presence of alcohol. Amy Miles, the toxicologist in charge of the State Laboratory of Hygiene blames the delays on an overload of requests and staff vacancies. Last week the Wisconsin State Assembly voted 84-10 for Senate Bill 135, which would take away the driving privileges of 4th offense drunk drivers for 10 years. If signed into law by Governor Walker, the bill would affect nearly 40,000 Wisconsinites. 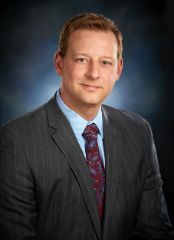 Attorney Nathan J. Dineen is one of only four attorneys in Wisconsin recognized with the ACS Forensic Lawyer Scientist Designation since being established in 2014. Are Drug Recognition Officer’s Able to Detect Impaired Driving? By Daniel R. Skarie|2018-09-28T17:41:50+00:00July 14th, 2017|DUI Drugs|Comments Off on Are Drug Recognition Officer’s Able to Detect Impaired Driving?